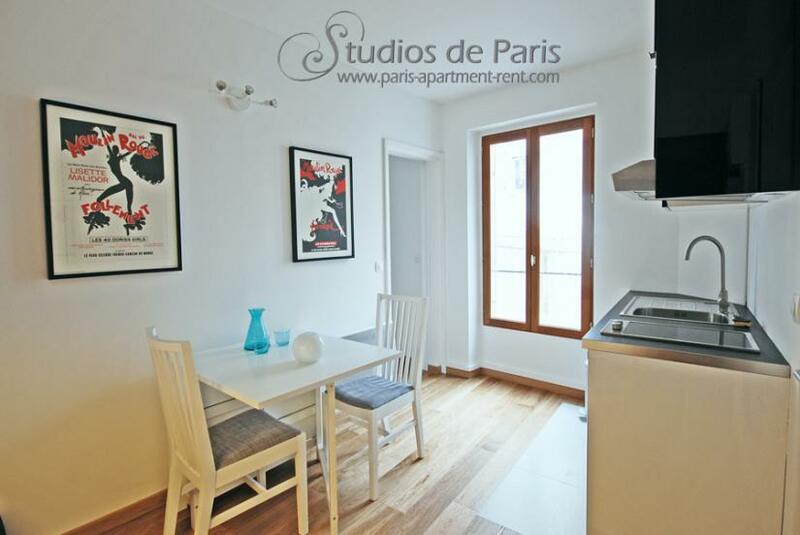 In the community of Les Studios de Paris, we see apartment owners as partners. Loyal and faithful to us, they trust we will always work as hard as we can to fill their flats and they respect our work while improving Les Studios’ spirit with their own imagination. As people treasuring aesthetics and creativity, our landlords always aim to offer more than just a place to stay against rent, but to create a singular experience or otherwise help make our clients’ stay unforgettable. 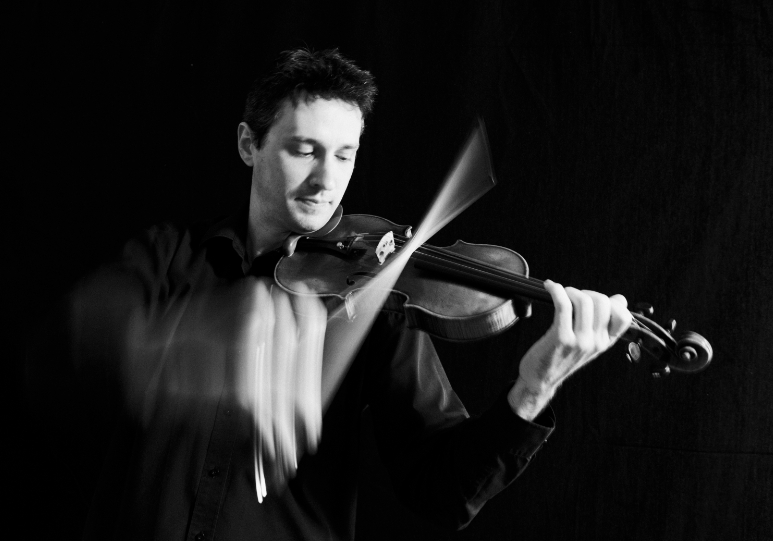 Turquoise’s owner Mr. Julien Dupont is a professional violin player in Melbourne’s opera and ballet orchestra and a special member of Les Studios de Paris community of apartment owners. An artist and creator himself, Julien is part of Les Studios de Paris universe. A like-minded advocate of our aesthetic philosophy, he is caring towards his tenants and is ever so willing to improve their stay for the better. This is the hallmark of our core group of owners. Always welcome to meet and exchange ideas in our lobby or during one of our special events, we cordially invite them to work together with us on our most cherished project of transforming simple lodging into “more than housing, an aesthetic experience”. Read about Julien’s life’s passions and his connection with Les Studios in the interview below. I am originally from Grenoble in the Alps where I’ve spent all my youth before going to Lyon to study violin as a teenager. I lived in a few European cities as a student (Brussels, Venice and Amsterdam) and came to Australia in 2004. I met my Australian wife in Germany where she was a ballet dancer and we decided to come and try a career for both of us down under. 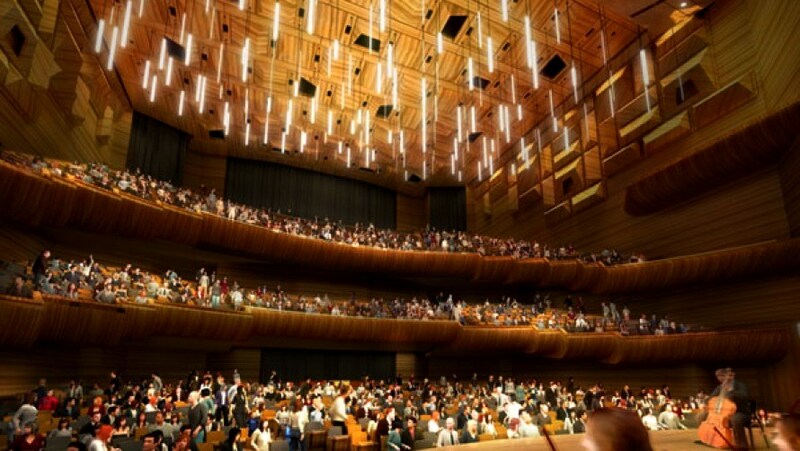 We tried Sydney for a few years, then Melbourne where I now work, teaching students at the University and performing with Orchestra Victoria, the opera and ballet orchestra of Melbourne. You’re a chocolate maker and a violin player in the Melbourne orchestra. How do these two worlds match? Well, I am not a professional chocolate maker, but more like an amateur with a few hard-learnt skills achieved through my cooking classes in Melbourne. Now as a musician, I do love food and wine (this may/should be part of how we are defined in the dictionary)! Once a year in Orchestra Victoria we run an Annual Treat Competition between players, which means that during the interval of every performance we take turns in presenting a home-made treat. Usually it happens during a long ballet season like “Sleeping Beauty” or “Swan Lake”. Performing such long and tiring programs each night is pretty tough, so the treats are most welcome during the intervals. In the last 4 years, I finished first in 3 of these annual competitions, cooking chocolates and French-inspired desserts! The orchestra is quite big, about 70 musicians, so cooking for them is actually time consuming, especially for an amateur! Yet this is a fun thing to do and it makes the workplace a very friendly place to be in, just like at Les Studios with your great chef Jym! Music and chocolate are a passion of yours. But there’s another one we know about. It’s “Turquoise”, your apartment in Paris. Tell us a bit about it. Who is Turquoise suitable for? We spent a lot of time in Melbourne thinking about what we would like the apartment to be like and how it would suit best short term or long term tenants. We live in an Art Deco apartment in Melbourne and we tried to give a similar mix of “epoque’s” warmth and modern design to Turquoise. Beautiful floorboards, clear white walls, Moulin Rouge posters and black and white photos through the apartment, an edgy design for the kitchen, etc. I’d say Turquoise is a great choice for couples, even with a young child. I have spent a lot of time on my own there and have enjoyed its calm and discrete atmosphere, so I guess people having busy and stressful jobs would enjoy the apartment. How did you choose working with Les Studios? What do you appreciate in particular about them? Les Studios were recommended to us from the agent who sold us the apartment and I couldn’t believe how conveniently located they were for me. I appreciated that the staff is competent and reliable, as well as welcoming to tenants. The fact that I could speak with their employees in 3 different languages was also a fun and social experience. They were very quick and reliable at getting things done and I valued this as my time in France is always limited, so I couldn’t have dealt with slow or inefficient agents! I really enjoyed spending time and getting to know Les Studios’ crew last year. With Jym and the others the connection was pretty simple: the mutual respect and trust between us was very positive and definitely a good thing for the future of Turquoise. Do they take good care of your property? Are you happy renting Turquoise with Les Studios? Since Les Studios had the apartment to manage, I have had the best support from them. Just knowing that there is someone there taking your call, passing the information around to staff and dealing with it in less than an hour, it’s great! Especially when five thousands of kilometers away, you just need reliable people around the apartment. How long have you been working with the agency? Why do you stay with us? We’ve worked together for about a year now. 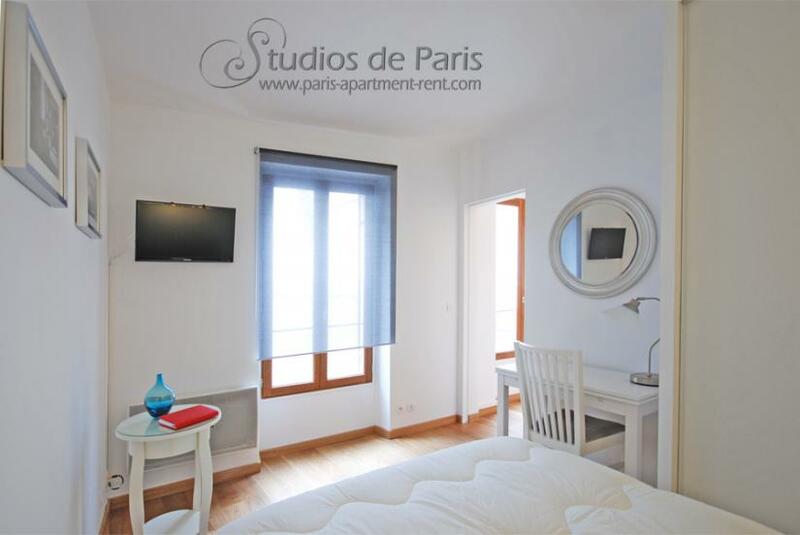 I’m with Les Studios as they are great with their services and managing the apartment for Internet connections, keys etc. What’s more, all tenants made compliments on the way they were received by the staff. So why changing agents when everything works perfectly and people are happy? Paris is an amazing city for me. Not only do I love its history and value its architectural treasures, but the beauty of its buildings and streets never cease to amaze me, I can walk forever. 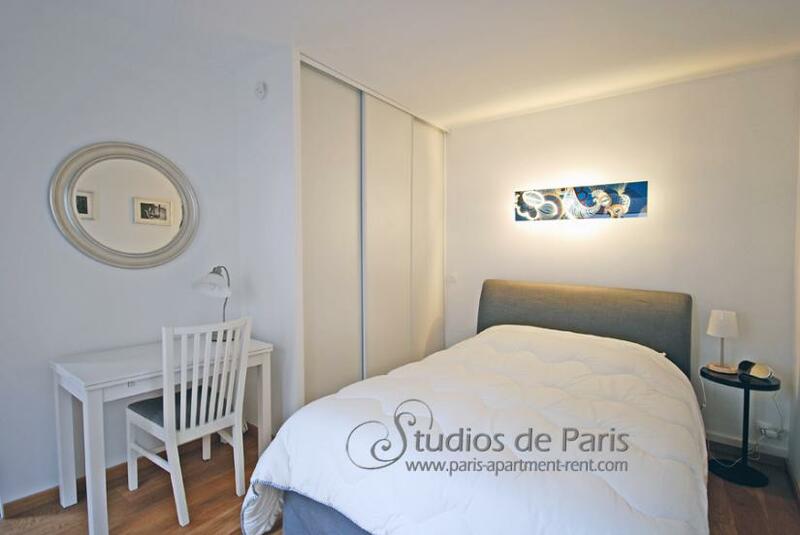 For my wife and me, Paris is also an ideal pied-a-terre in France. For us, spending time in the city means concerts, operas and ballets every day! I recently met a colleague from Melbourne who said that Paris might be better than London for its numerous brilliant performances. Anyone having a look at the Officiel des Spectacles in Paris can be convinced by that, I have to go through it with a pen to avoid double-booking our evenings! What’s your favourite chocolate creation and piece of music? Do they make a good match? 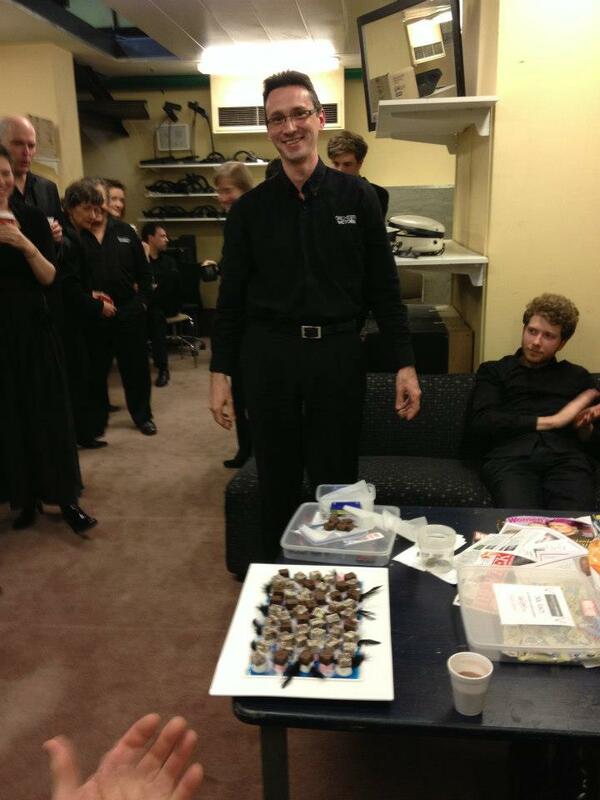 My favourite creation was probably the treat I made for the competition at the orchestra. We were playing “Swan Lake” and I got a bit carried away with the theme. 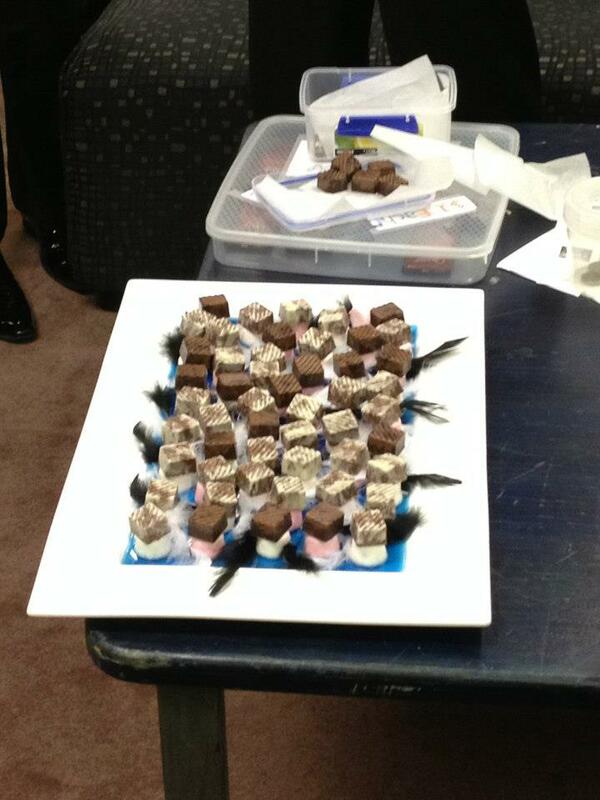 I made a lake of blue gelatine where single chocolates were resting on marshmallows (very Aussie! ), representing all the cygnets. The lake was also covered with black and white feathers to remind us of the Prince’s dilemma between his love and attraction for the Black and the White swan. So yes, I suppose that was the one for me, I love the music of Tchaikovsky’s “Swan Lake” and this creation was just the perfect match. This year we’ll perform Prokofiev’s Cinderella and I already have some ideas for my next creation, so let’s see what comes up! 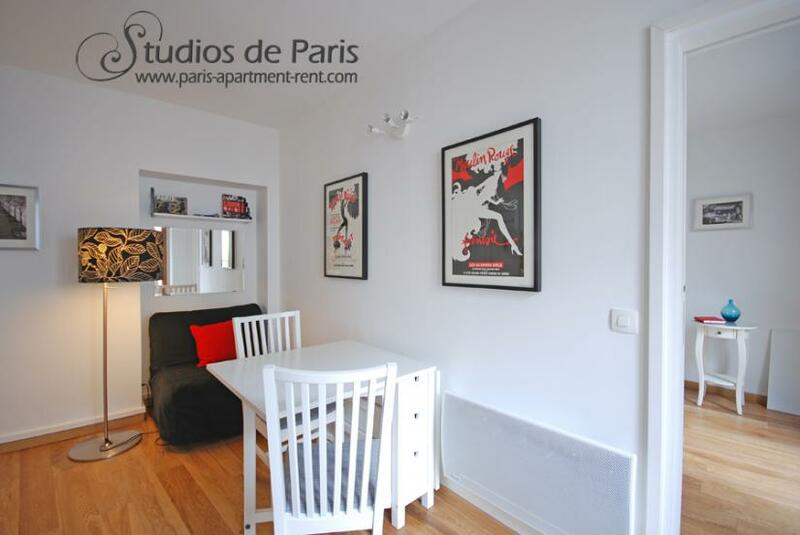 To become one of Les Studios’ owners and rent your apartment with us, please contact us.